We are a small family operation commited to exceeding the expectations of our customers and dedicated to helping support our local community. Executive Chef and lead farmer Rich League founded 7 Angelica Farms in 2011 out of a sincere desire to help others by utilizing his unique skill set and experience to create a platform with which he could help the broadest spectrum of people he met. A chef, father, professional daydreamer and avid gardener for most of his adult life, he is an open-minded individual who believes every moment matters. His guiding principle in life has always been about Love and doing the rightest thing in any given situation. He considers this outlook a gift taught to him by the example of his mom's life. While delivering ice sculptures to a private event in November of 2010, Rich went into cardiac arrest where he was without a pulse for ten minutes and spent the next five days in a coma. In the blink of an eye his life and the lives of his family were changed forever. He returned to this life with an overwhelming desire do to anything he could to make a positive difference in the world around him and the result of his passion is now 7 Angelica Farms. 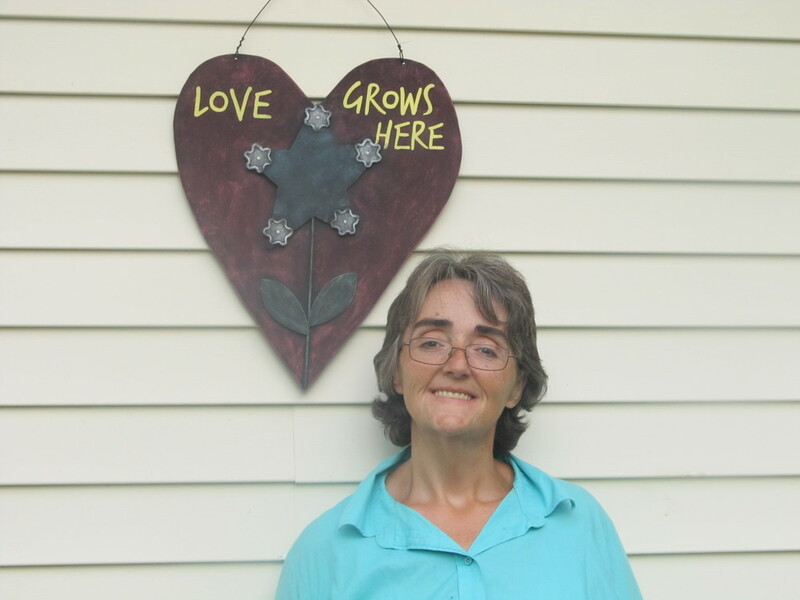 Patti Michelle Whitaker is the farm's right hand. She was affected by Rich's passion from the very first day they met, and she has spent a great deal of her time ever since trying to keep him on this planet and in one piece. Outside of handling all financial responsibilies, taking care of two daughters and proudly caring for three developmentally disabled brother-in-laws on a daily basis, she shops, cooks, farms and is the voice that people hear when they call for services. Patti has a gift of making people feel at ease with her communication style of truly listening and using her sense of humor to put things in perspective with her unique sensibilities. She is compassionate by nature and always makes every client she speaks with her first priority. Patti also has a connection and a deep respect for the farming aspect of the business. It is important to her to be responsible stewards to Mother Earth as her Cherokee ancestors once were.